Attorney Sharon L. Vollrath is a long term Central Florida resident and is an active member in the community. 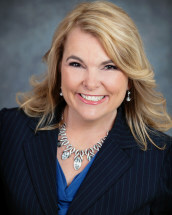 Prior to attending Barry Law School, Sharon graduated from Seminole State College and the University of Central Florida where she received her bachelor’s degree in Sociology. While at the University of Central Florida, Sharon participated in studies at a local homeless shelter examining the unique effects of homelessness on women. At this point, Sharon felt the calling to make a difference and made the decision to go to law school. While at Barry Law, Sharon held two internships at local legal aid offices. Sharon is a compassionate attorney who is willing to go the extra mile for her clients.